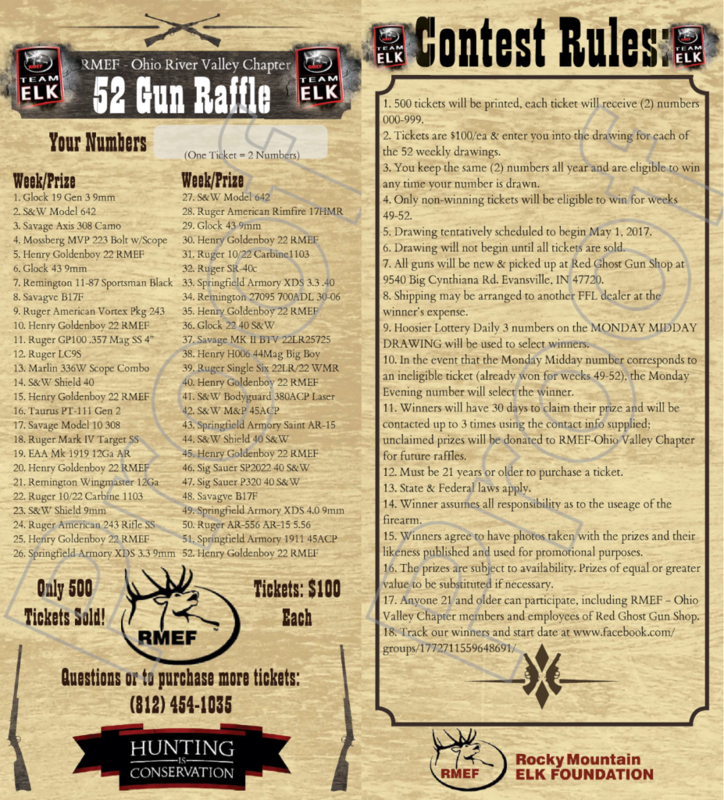 The 52-gun raffle supports Rocky Mountain Elk Foundation Ohio Valley chapter. Rules of the raffle, the gun list, and announced winning number, are listed below. Tickets are no longer being sold, and the drawing is complete. Check out details of the new 2018-2019 RMEF 52-gun raffle here!